3. To deactivate the service, just send a message on WhatsApp writing WHITE OSTUNI STOP. By registering for the newsletter, you consent to the processing of personal data. Your data will be used for purposes of sending newsletters and advertising material, exclusively using the app “WhastApp”. 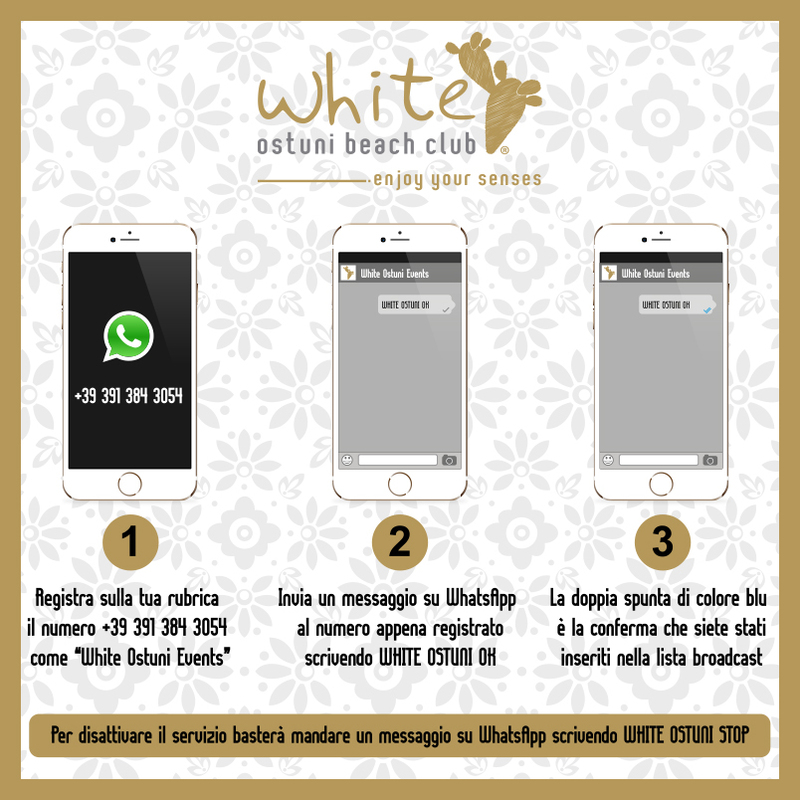 The data will not be sold and will be used exclusively by White Ostuni srl.